The Midwest Gaming Classic is an annual gaming convention held at the Sheraton Hotel in Brookfield, Wisconsin (just outside of Milwaukee). The recent focus is on retrogaming, although I believe it had tabletop gaming in its origins. The event usually takes place the second weekend of April. Advance ticket orderers can attend pre-conference events on Friday night. This event draws attendees from all over, and hotel rooms fill up, to the point where neighboring hotels open up blocks of rooms as well. This event has grown significantly in size over the last five years. As far as I know, it is the only retro gaming convention in the area. I constant hear of conventions on the west coast in San Diego, Portland, Seattle, and so on, so this is a big draw as it is a rarity in these parts. The convention offers panel discussions, live podcasts, a history of consoles room, an arcade hall, consoles set up in the hallways, tournaments, club rooms and of course, the giant vendor tent. The first time I attended, it was all quite overwhelming. To truly get to see everything, you need to go both days, otherwise you have to ration your time. I wasn't quite sure how to write about all of this, as I did not get to see every corner of it, so I'll jsut post all the pics that I took so you can get a feel for what it was like. A vintage Atari game testing unit, originally displayed in department stores. Hey, you're way too close to the tv, thats cheating! A Pinball merchants room offers parts and repairs. The TurboFest room is one example of the club rooms, where a room is rented out and dedicated to a particular system. It's hard to see, but here are the PC Engine shuttle, PC-FX, and PC-Engine Duo RX consoles, from left to right. You won't find these in you local pawn shop. A newly produced PC Engine game is available to play: Henshin Engine on a wall projector. It was fun, it reminded me of Valis. Lots of Japanese Super Famicom games are cheaper than American equivalents. Remember, you can use translation patches on the Retron 5 to save lots of money on RPGs. 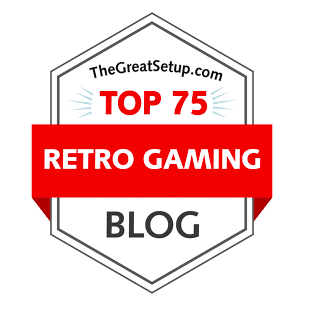 So, if you have any interest at all in retro gaming (you wouldn't be reading this if you weren't), check out the Midwest Gaming Classic in Brookfield, WI. I can't compare it to other conventions, as this is the only one that I have attended, but its an awesome experience, and you'll be able to see, play, and buy games that you probably won't find anywhere else!